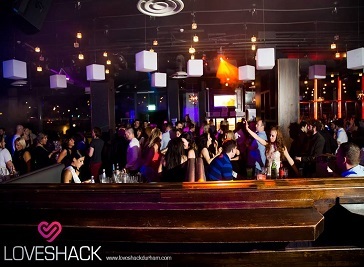 If you want to get loose or like to enjoy an impressive nightlife with great choice of music and dance, Durham’s exciting nightlife always has something great for you! As soon as the sun goes down, the nightlife starts and the lovers are rushed towards the Night Clubs to spend an awesome time. You have no idea what Durham has to offer you. Nightclubs are always attractive places for students and locals. Visitors are always interested in the city nightlife of the area they are visiting. Whether to meet in private with a partner or to enjoy live performances and music Night Club offers everything for you. These are great places to start the night and have every ingredient to make you night a memorable one. Whether you want to enjoy a special event, birthday or a stag & hen party, the best place you can think of is a Night Club. Tourists enjoy day life in the city of Durham by visiting beautiful and historical attractions and when the nightlife starts they rush towards the night clubs for leisure, drinks, music, dance and performances. Discover the nightlife of Durham in a whole new way to get loose and unwind. 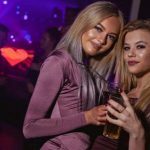 Klute nightclub is always a favourite spot for students because of it's cool, contemporary VIP lounge and bar plus private booths for special meetings. The club provides frequent live performances and music to entertain the customers. Klute is one of the most popular night clubs in Durham and have attracted a number of celebrities.